Planning a special occasion in Fullerton, California? Then, let ULC Limousine rental service in Fullerton make it an even special for you. 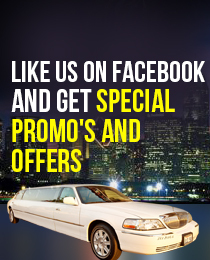 We are a trusted name in the world of limo rental in Fullerton and throughout Southern California. To answer this question, we will have to take you through some of the special features that our Fullerton limo service offers. Special limos for different occasions: We are not like other limo rental services in Fullerton that offer the same limos for every occasion. We have a fleet of beautiful limousine rentals in different sizes, colors and models. All you have to do is to tell us the occasion you want to hire a limo in Fullerton for and we will provide you with the best ride possible. Incredible prices: Hiring limos in Fullerton has become synonym with extremely high prices. But we offer limo rentals at extremely competitive prices and the services that you get along with it make your limo ride worth every penny. Which Fullerton Limo is Right For You?